Are you wondering about your health and scuba diving? Download and complete this medical statement. It will identify any potential areas of concern. If there are any "Yes" answers, please ask your physician to advise you. Bring the signed form with you to your first class. We surely don’t want to do anything that might jeopardize your health. 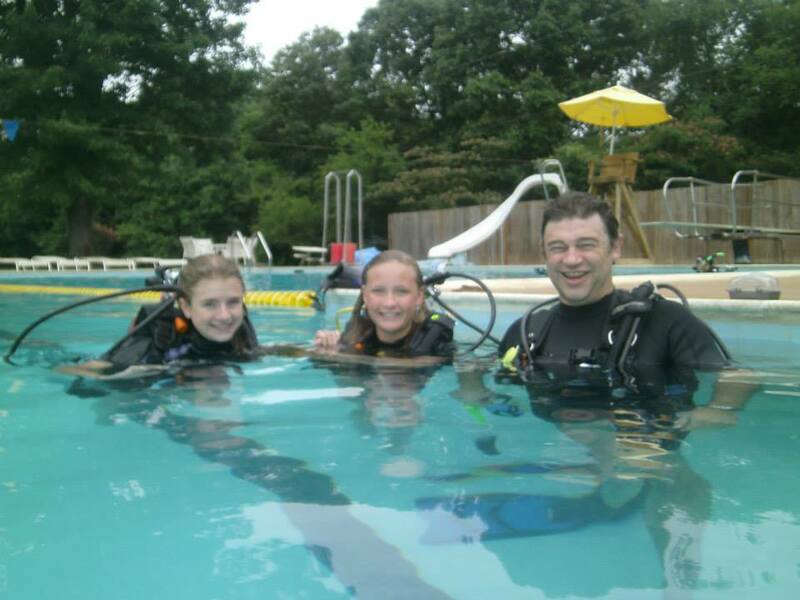 Ask about our Kids Scuba Parties! Ever wonder what it's like to float weightless underwater with all the air you need? ... to discover a new richly beautiful natural world? How will you react? How will you feel trusting your next breath to an external mechanical system? 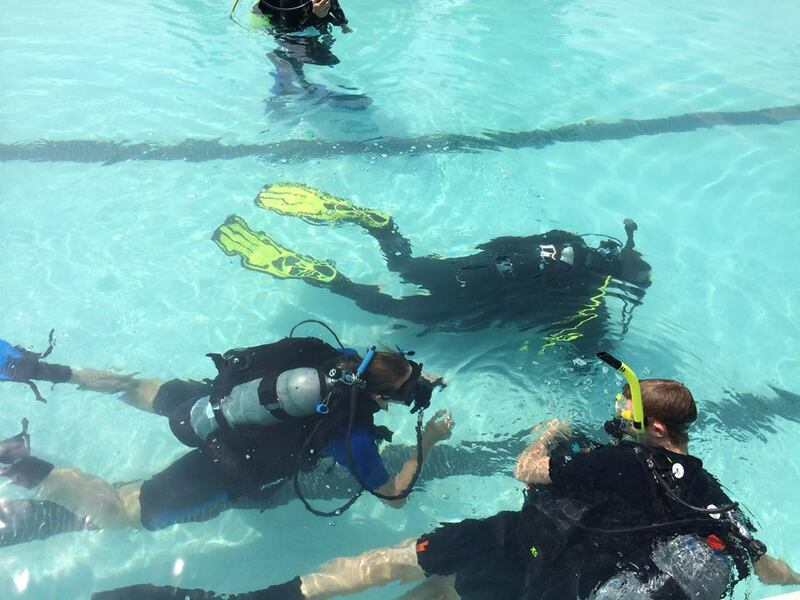 A Discover Scuba experience is a great way to answer those questions before you make the decision to become a certified diver. Sign up with Dive Connections for a 3-hour experience to answer your questions and hopefully begin a lifelong adventure. We provide everything you will need. Your adventure begins here at the shop where you will learn from our passionate staff about the fundamentals of scuba diving and be introduced to the equipment that make scuba possible. Then we will head to the pool. You will be given essentially the full first in water lesson from the open water certification course and lot's of time to play, swim through hoops, stand on you head do summersaults, all the thinks possible when gravity isn't an issue! We routinely schedule these adventures on Sunday mornings for 9-noon, but if that won't work for you, please give us a call. We would really like to get you involved and we have great flexibility especially for groups of 4 or more where we can even schedule private classes at no extra charge. Do you have a pool or access to a pool? Maybe we could do it there! if you want to get a head start, here is the release form and stop by the shop and ask for your FREE "Go Dive" DVD. It has lots of information about what we will be discussing and doing. It also has some wonderful underwater video. Go ahead and sign up now. We'll contact you to schedule your adventure.